Have you been slow getting onto the Valentine’s Day wagon? Me too. I am not one to decorate too much for holidays outside of Christmas, but sometimes a little pillow can add a BIG impact. 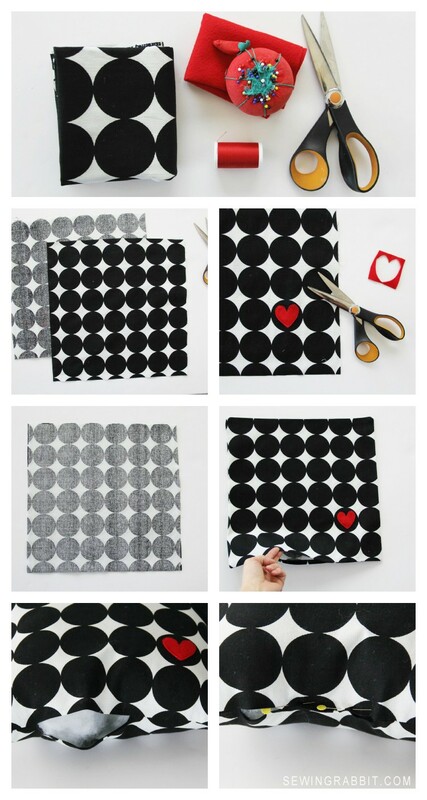 Especially if it is simple enough to create, and can last long past Valentine’s Day without looking out of place. 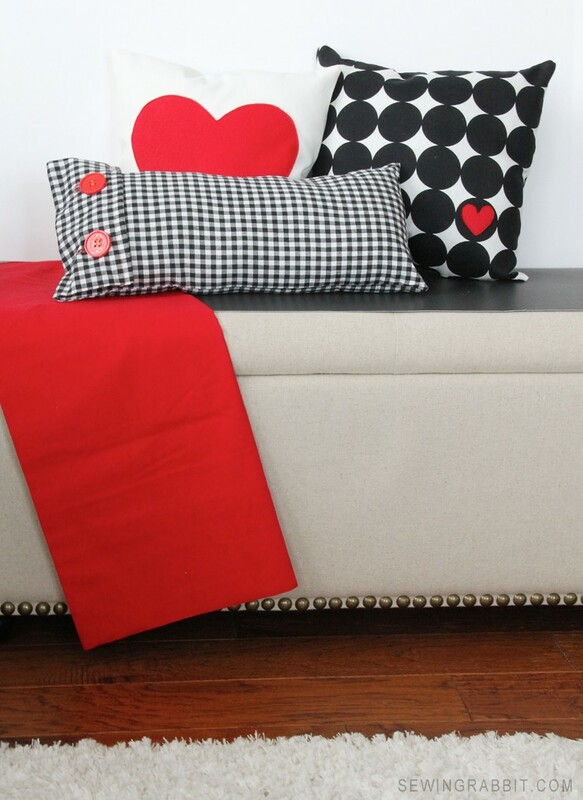 Enter the easy heart pillow DIY, paired with a classic plaid fold over button closure pillow. 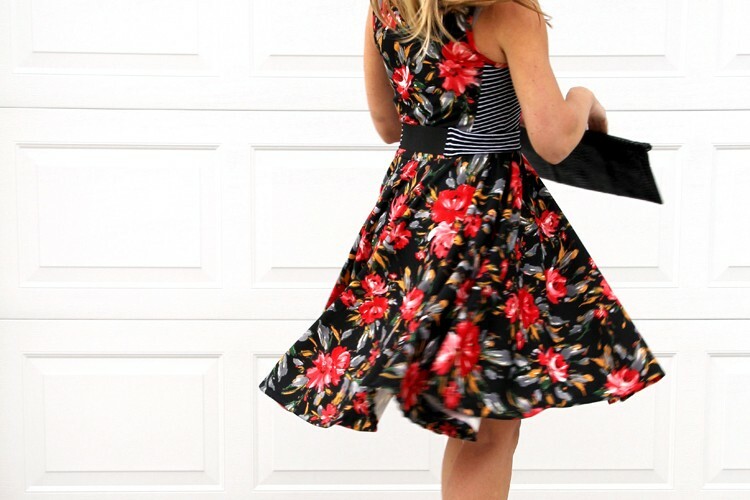 Both easy to sew for the beginner seamstress, and for those of you who know your way around the machine – you can whip all 3 of these bad boys out in under an hour. Trust me, I did. 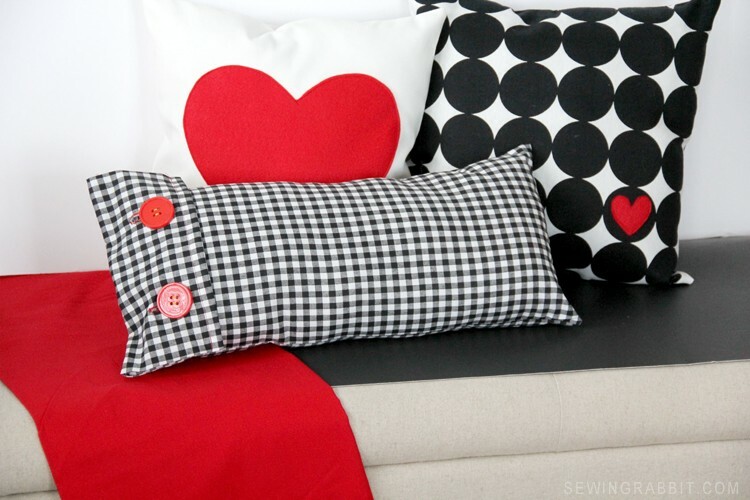 Easy Valentine Heart + Plaid Pillow DIY. 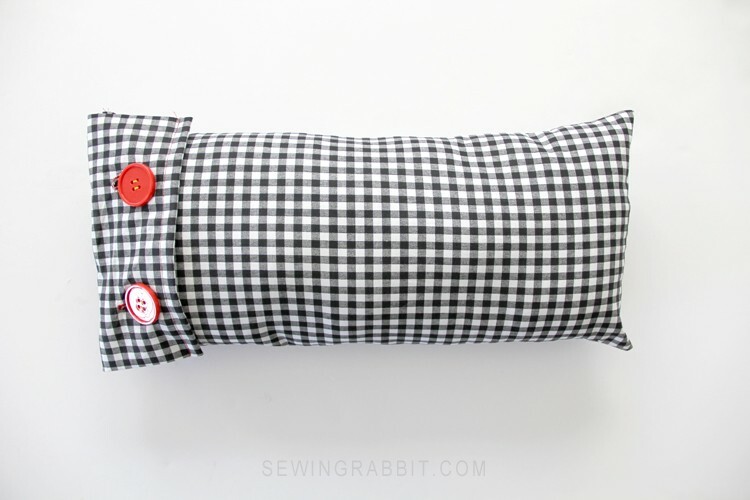 STEP ONE: Cut (2) Squares of fabric the desired size of your pillow + 1″ for seam allowance . 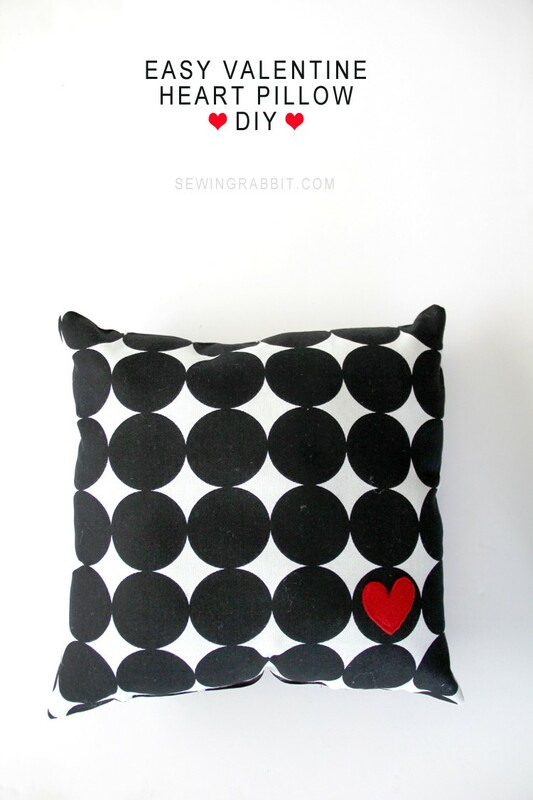 STEP TWO: Cut out a heart shape from your felt fabric. On this demonstration, the heart is very small. In other photos on this post you can see the same technique, with a much larger felt heart. Your heart can be as big / small as you like. 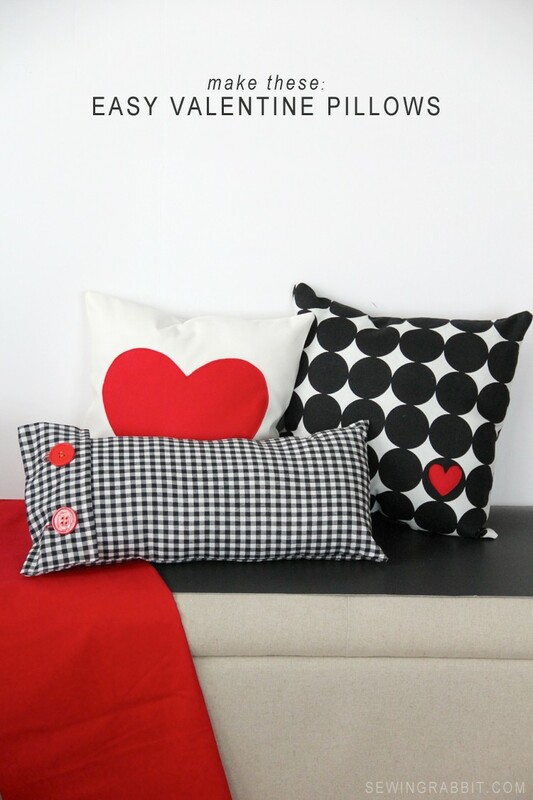 Pin heart shape to the front of your pillow in desired location. 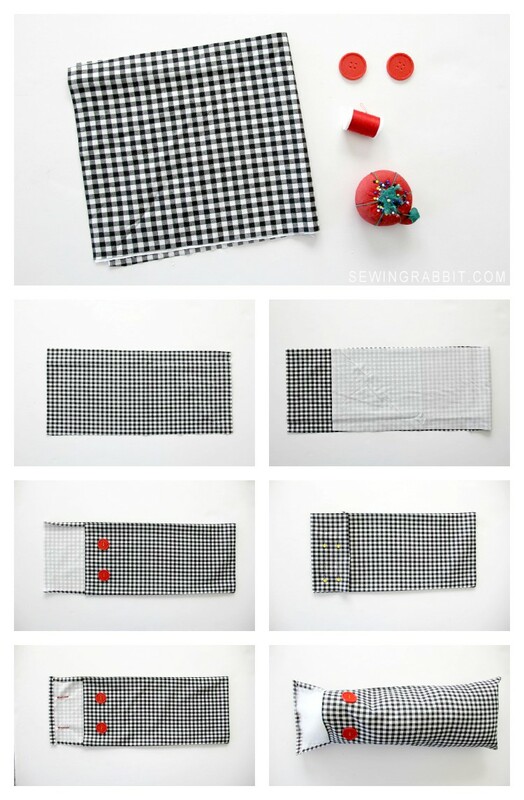 Sew all around the edges. STEP THREE: Place your (2) pillow squares right sides together matching up all side edges. Pin and sew, leaving a 5″ opening along the bottom for turning. STEP FOUR: Turn pillow right side out through opening and press. STEP FIVE: Stuff with Polyfil. STEP SIX: Pin opening closed, and whipstitch. 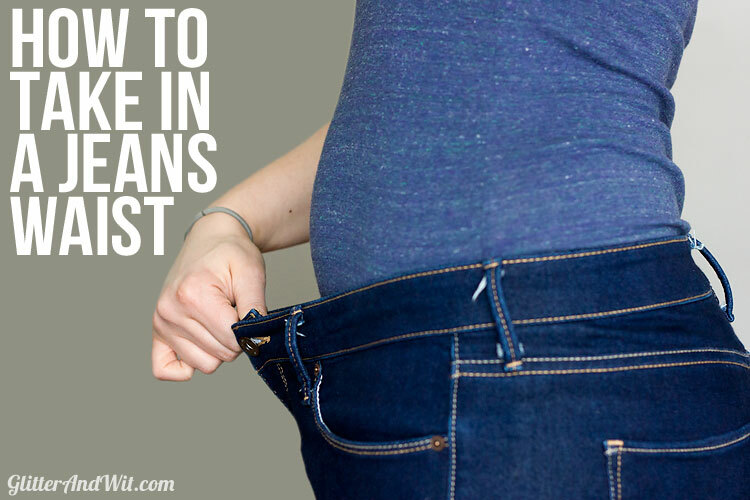 STEP ONE: Determine the size you want your pillow to be. Cut (1) long rectangle of fabric the length you want your pillow x double the width + 4″ (and add seam allowances). For example, my finished pillow is 6″ L x 20″W. So I cut a piece of fabric 7″L x 44W”. Which works out great because typically quilters cotton is 44″ in length on the bolt. STEP TWO: Fold fabric right sides together, leaving one side edge dangling 4″ off the side. Sew the side seams where the fabric touch. STEP THREE: Turn pillow right side out and press. 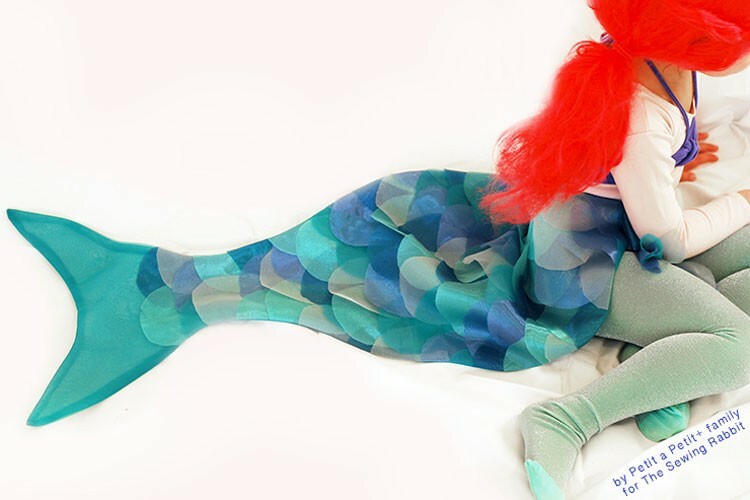 Fold in the raw edges of the pillow flap 1/2″ and press. Sew down to secure. Place your (2) buttons on top of your pillow button (as shown in picture) and mark where you want them to go. STEP FOUR: Fold over flap, and mark where the buttonholes should go on your flap. STEP FIVE: Following the instructions on your sewing machine, sew buttonholes onto the flap where marked. 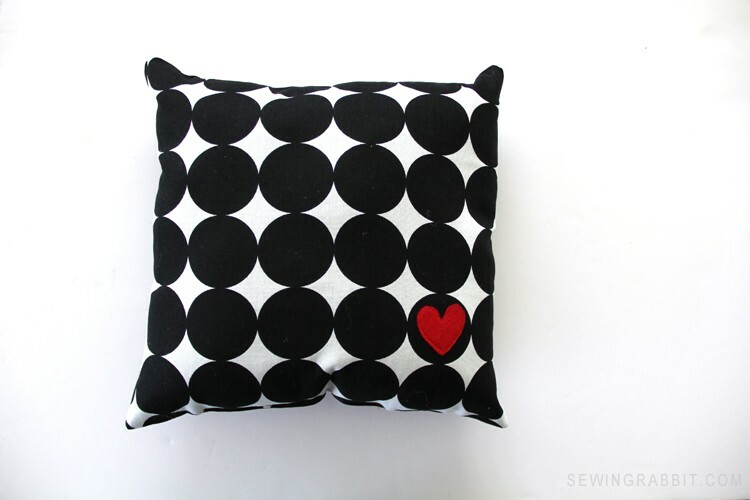 Then using a needle and thread, sew on the buttons to the bottom of your pillow where marked. *It helps to use a scrap piece of interfacing on the wrong side of your fabric before sewing on the buttonholes. This will stabilize the fabric a bit, and give you a nice clean, crisp buttonhole. STEP SIX: Stuff pillow with Polyfil. Pin top opening in pillow closed and whipstitch. Fold over flap, button up, and you are finished! And there you have it! 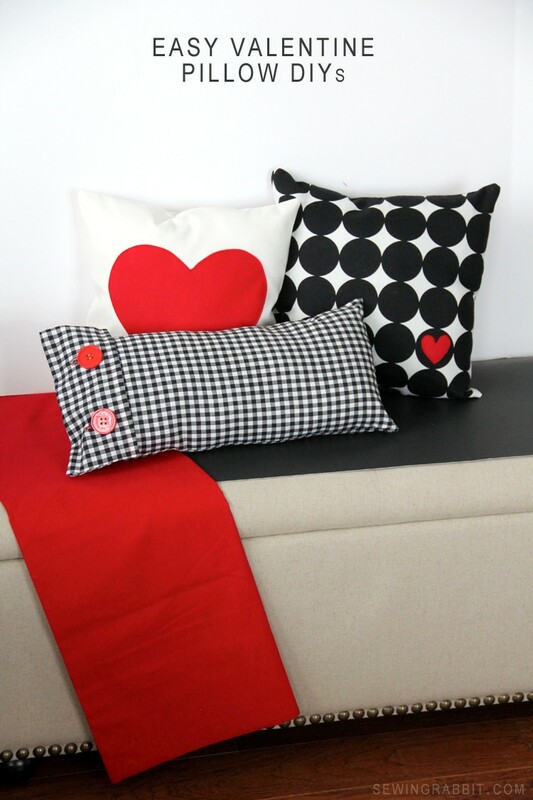 Super easy Valentine themed plaid + heart pillows that a beginner seamstress could easily make with a little time and effort. Perfect for this holiday of love, or any old day of the week :). I love that one with the heart in the circle so much! !